SalesAcademy.com Inc. is a sales consulting firm and a Certified Customer Centric Selling (CCS) Business Partner headquartered out of Toronto, Canada. The company was founded to help SaaS and technology companies develop overachieving salesforces and achieve predictable and sustained revenue growth through the application of a sales development model that’s been proven in the field by over 11,000 companies and 1,000,000 sales professionals. SalesAcademy.com was founded by Sean Anderson, a sales veteran with over 15 years experience as a top performing account executive and sales manager. Sean started his career at Mosaic, North America’s largest outsourced sales & marketing services company. At Mosaic, he was the Campus Captain for UBC and worked on and managed a variety of experiential marketing and retail sales & merchandising programs with such clients as Minute Maid, HP, Epson, Microsoft and Labatt’s. After moving up the ranks at Mosaic, Sean joined Bodog, a leader in online gaming, as their first sales hire. At Bodog, Sean built out the Inside Sales team and managed their database marketing programs and became a key member of the senior management team, helping the company dramatically improve customer acquisition and retention and grow from startup to industry leader. Looking for a new challenge in technology sales, Sean joined SAP, the world’s largest business applications vendor. At SAP, Sean enjoyed a considerable amount of success winning multiple Winners’ Circle awards and consistently ranking as one of the top performing Inside Sales Account Executives, Specialists and Managers in North America. Sean is currently working as VP, Global Sales for Book4Time Inc, the leading global enterprise, cloud-based spa software for hotel and resort spas and multi-location day spas. I have had the pleasure to work with Sean for many years now. Sean is your “goto” person who you can rely on to deliver. He is customer centric and process oriented. A stickler for ensuring our solutions and offerings solve our customers challenges. Sean is a terrific motivator – he understands what success looks like from multiple view points and aims to deliver positive outcomes for all. Sean has the second gear required to succeed along with endless energy. Looking forward to working again with Sean closely again in our career somewhere down the road. Sean supported my team for over a year in his role as Solution Principal at SAP. He differentiated himself on the strategic side by quickly defiing the most effective demand generation and deal execution strategies within his Enterprise Information Management portfolio. On the execution side, he led the way quickly becoming the ‘go-to’ guy across the entire East Region. He is a natural leader and a great team player, one of the best I have ever worked with. Sean is a results driven professional who takes “winning” to heart. Whether independently or on a collaborative business team, he is talented at identifying and analyzing a market’s sales and retention challenges, and very focused on plan creation and execution. Give him a target and get out of the way- he will hit it. I had the honor and privilege of working with Sean while I was supporting his Inside Sales team with SAP Canada. I would be fortunate enough to participate in some calls where Sean was communicating with the prospect we were working with, and his breath of knowledge within the industry is very impressive. Not only was he aware of competitive market information but he also leveraged the many years of experience he has within this industry to thoroughly scope the customers infrastructure, business needs, goals, issues, etc. By doing so, not only were we able to identify areas of potential revenue opportunity but we were also resolving pain points with the prospect we were working with. His team was very lucky to have such an excellent leader, mentor and coach as their manager, and I as well to have worked with him. I would highly recommend him for any of his future career aspirations and look forward to when we can hopefully work together again. Sean was my Sales Manager at SAP. I started the company with limited knowledge of the industry and Sean was instrumental to me getting off on the right foot. He is likely one of the smartest people I have met with a top level of business and sales acumen. His ‘Brain Dumps’ were instrumental to me learning the business and engaging clients into sales cycles. His ability to teach, train and advise in complex sales has given me an arsenal of tools to succeed within SAP or any industry I chose to work in. I will be forever grateful to Sean and would recommend any sales organization or professional to do business with his Sales Academy. I have reported directly to Sean Anderson for the past year at SAP in my role as Account Executive. To hold the role of sales manager at an elite enterprise sales organization like SAP, you need to hold a wide range of skill sets. A high level of sales cycle & business acumen, management and training ability, all backed by sales and management experience is required. These skills are core to making a successful sales manager at SAP, but those characteristics are not what differentiates Sean. Sean is a multi-faceted sales manager, who has expertise that separates him from the rest. Sean has a very unique understanding of how sales methodology and sales rep behavior mixed with his indisputable customer insight can be the paramount ingredients for success for any rep or team he has managed. As an Account Executive, Sean would have a very big influence on how a reps success would be built, and I also would expect him having a major impact on any future sales organizations, making them more successful, through the use of tactics, strategy, methodology and execution. This makes Sean Anderson much more of an elite sales leader, than a sales manager. 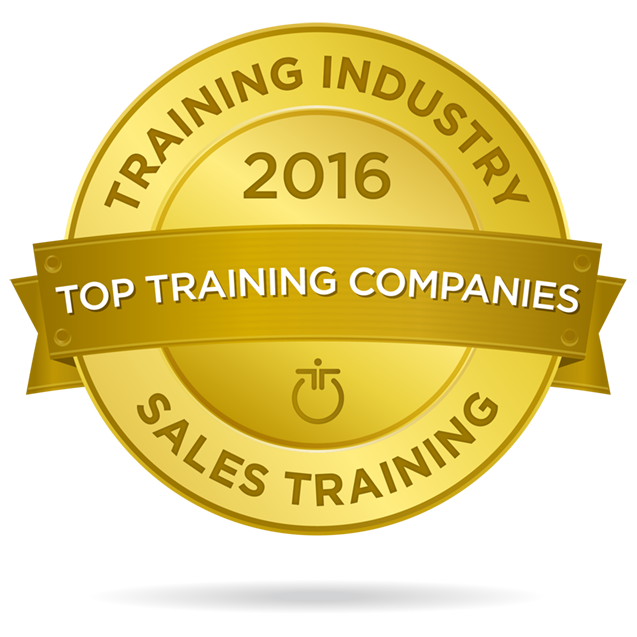 SalesAcademy.com is a Certified Customer Centric Selling Business Partner. Since 2002, CustomerCentric Selling® (CCS®) has specialized in world-class sales training, delivering workshops around the globe to provide sales organizations with the selling skills and tools necessary to win in a highly competitive marketplace.